A family of WINNERS. Mekseb Debesay and his sister Mosana Debesay after winning elite men and women Individual Time Trial of the African Road Continental Championship, on 15 February 2018, in Kigali. 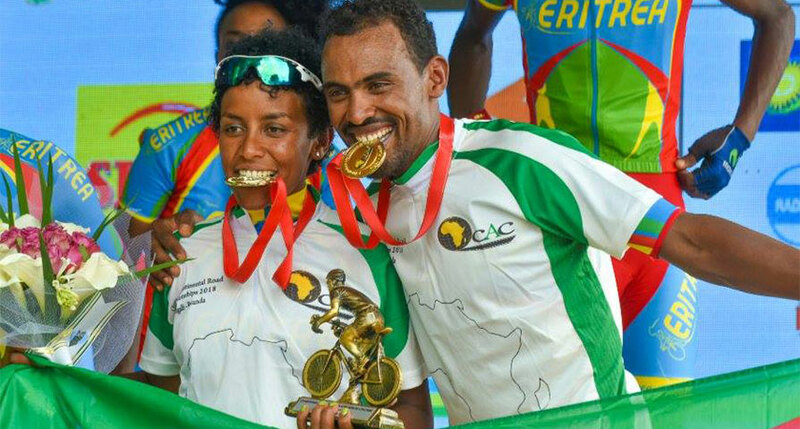 Mekseb Debesay and his sister Mosana Debesay were respectively crowned African champions in elite men’s and women’s individual time trial (ITT) on February 15, 2018, in Kigali. New success for this Eritrean family of cyclists. 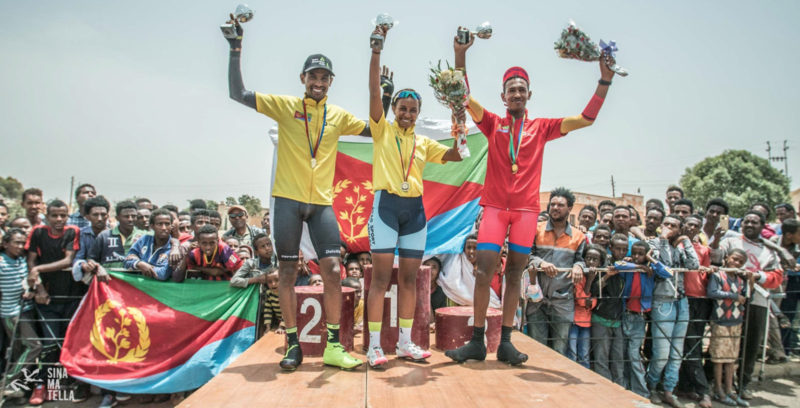 This is unprecedented in the history of the African Road Cycling Championships and probably very rare in the world of cycling: an elder brother and his younger sister were indeed crowned continental champions on the same day. Eritrean Mekseb Debesay and his sister Mosana Debesay respectively won the men’s and women’s individual time trials (ITT) on 15 February 2018 in Kigali. Mekseb beat Rwanda’s Jean Bosco Nsengimana and Joseph Areruya in men, while Mosana was better than Ethiopian Selam Amha and Eyeru Gebru. “It’s a fantastic day,” marveled Mekseb Debesay at Olivier Pron, RFI’s special correspondent for Rwanda. “Double champions with my sister! These are two titles for the family! We dreamed about it last week! (Laughter) Because last June, we had already won the other championship of our country, Eritrea [individual time trial, Editor’s note]. The Debesay are indeed regulars of the podiums since it is the second title in Rwanda for Mekseb after the team time trial won by Eritrea. A resident of the Dimension Data team had also won in the same category in 2015 and 2016, in addition to the bronze in the 2016 road race. Mosana, she had to settle for bronze with other Eritreans in 2015 and 2016 before taking her revenge in 2017, with gold. The 24-year-old rider had also won the silver medal behind Mauritian Aurélie Halbwachs in 2017 in the individual time trial. Not bad for Meseb and Mosana who imitate their 31-year-old brother Freqalsi Debesay. Freqalsi has been the African time trial champion three times (2010, 2011, 2012) and took the bronze in the 2012 road race. A family of “winners”, in short, which still has two brothers, Jacob and Kindishih, who are also riders.